Structural Systems, Inc. is a concrete and foundation contractor with decades of experience. Our foundation contractors have stabilized hundreds of homes and commercial structures since 1985 with no warranty claims. 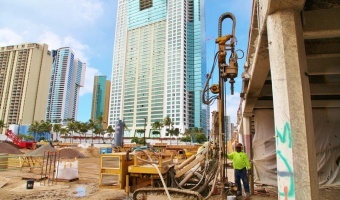 We have built a reputation for value added solutions for residential foundation repair, concrete restoration, and commercial drilling services in Honolulu and all major Hawaiian islands. We specialize in new and remedial foundation construction for residential, commercial, and industrial structures. If you have noticed signs of foundation problems, such as cracked or buckled walls, uneven floors, or sinking foundations, give us a call. We have expertise with a range of foundation systems to deliver the right solution to get your home or business back on solid ground. 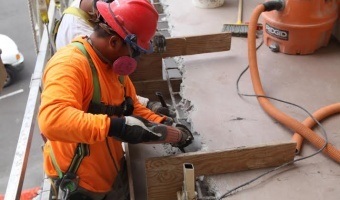 Our company has provided concrete restoration for high rise condominiums, luxury resorts, commercial office buildings, and other structures. Whether you need concrete spall repair or concrete repair, get in touch with us for cost effective solutions to mitigate corrosion and ensure lasting repair. We utilize the latest technologies to extend the life of your concrete. Our services include installation and replacement of premium railing systems. Structural Systems is an authorized distributor and factory qualified for installation of RailCraft aluminum guardrail systems. These systems are designed to be corrosion proof, factory welded for a longer service life, and offer flexibility of design to suit a range of applications. Read through our website to learn more about our residential, commercial, and industrial services in Honolulu and other major Hawaiian islands. Please call Structural Systems, Inc. today at 808-845-2474 or request a free quote by filling out the form on our website. Structural Systems, Inc. is a Hawaii Licensed “A” General Engineering Contractor offering foundation construction, repair, concrete restoration, and railing systems. We provide consulting services for all fields and work with architects, engineers, high rise repairs, government, and property management companies on a broad range of projects. Our professional contractors offer comprehensive services for commercial and residential foundation repair, foundation systems, and commercial drilling for deep foundation systems and small diameter drilled systems. We provide concrete restoration and concrete spall repair and railing installation for railing systems, including RailCraft guardrail with many options for color, gloss, top cap design, size, and mounting methods. At Structural Systems, Inc., we offer the level of expertise that only comes with decades of experience. We combine the best quality products, tried and tested methods, and the latest advances in technology to provide the most efficient and cost effective solution for every project. We maintain a robust and diversified equipment fleet to handle jobs of all types and sizes. We have full size rigs and limited access rigs to provide the right drilling solution for every drilling situation and location. In addition, we use state of the art equipment for concrete restorations, and foundation construction and repair. Please browse our website to find more information about our services, projects, and consulting solutions. If you have questions, give us a call at 808-845-2474 or complete the form on our website. We are happy to provide free quotes for projects on all major islands of Hawaii. GreenMarket Solutions (GMS) Soil Stabilization Process is a tried and proven technology for the stabilization of expansive (clayey/adobe) soils in the base and sub-base of existing roads and highways, new roadways, new construction and existing building sites, existing airfields, parking areas, reservoirs, levees/embankments, and railroad beds. GMS Soil Stabilizer is a GMS proprietary product. Application of the product to unsuitable soils can be accomplished in one of two ways. Injection: This is the preferred method to be used on both unpaved and paved surfaces. Holes are drilled into the soil, asphalt, or concrete surface. The GreenMarket Solutions Soil Stabilizer is then pressure-injected into the holes, saturating the ground. Testing of the treated soils is used to verify the soils have been stabilized. Surface Broadcasting: Equipment used in regular construction or repair operations can be used without modification for this method of application. The area is first scarified with a motor grader. 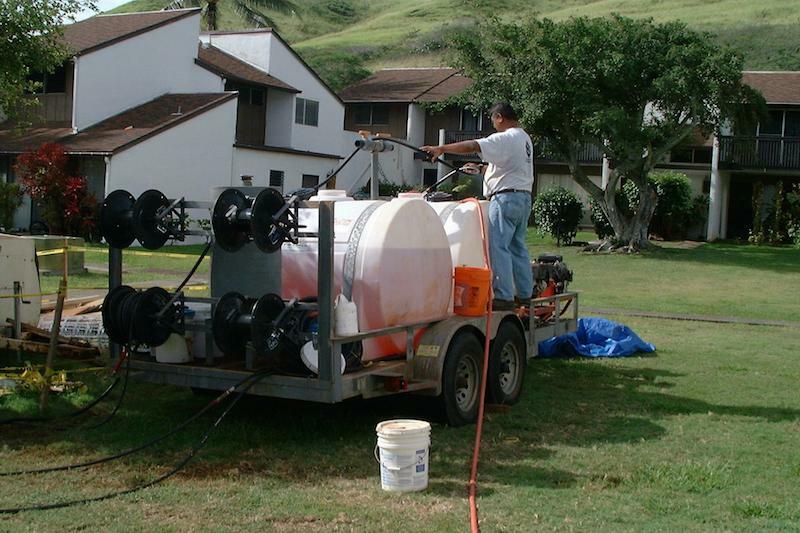 The product is then applied to the surface via a water truck. The area is then scarified once more in order to incorporate the product into the soil. Most surface failures are directly related to base and sub-base failure due to contamination by expansive/clay soils accelerated by the migratory patterns of water. Soils saturated by rain (and where applicable freeze-thaw cycles) are susceptible to rutting, buckling, potholes, and accelerated deterioration of both paved and unpaved surfaces. • The application of this product into clayey soils creates an ionic exchange to negate the clay soil’s natural affinity/attraction to water. This frees the molecular bond between the soil and water molecules and allows the soils to drain. • The bearing capacity and shear strength of the surface will realize an accompanying increase. Worldwide case studies have shown that the process reduces both initial construction costs and maintenance costs while increasing the durability of roadways dramatically. • Stabilization of expansive soils with GMS Soil Stabilizer is a cost-effective method of restoring the bearing capacity and shear strength of expansive, clay-based soils. • Soils treated with GMS Soil Stabilizer compact easily. • Treated soils demostrate enhanced durability to resist rutting, buckling, and potholes. • GMS Soil Stabilizer has been laboratory and field tested and is environmentally safe for use in contact with soil and groundwater. © Structural Systems Inc. All rights reserved.